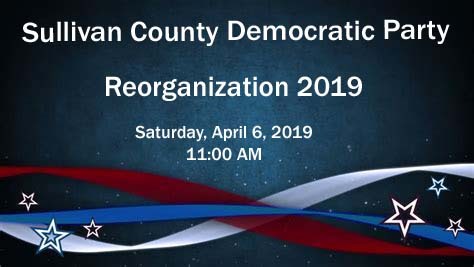 Join us for our Bi-Annual County Party Reorganization. Democratic county parties in Tennessee are required to hold a reorganization every two years. The Sullivan County Democrats will hold theirs at Holston Middle School in Blountville on Saturday, April 6th, starting at 11:00 am. We will be electing our county party officers and executive committee members. The doors of Holston Middle School will open at 11:00 am and close at Noon. During that hour timeframe all participants will fill out a “Pledge of Support” which states that you are an eligible voter and resident of Sullivan County and you pledge your support to the election of Democratic candidates for public office.